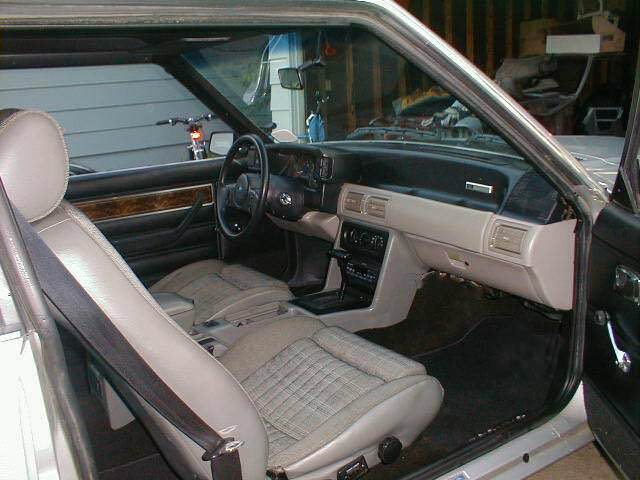 Looking at completely redoing the interior of a 85 coupe. Currently it is canyon blue. Exterior of the car is currently Blue but long term goal Ford Competition Orange or similar. I wand t0 go with a grey/black combo color. Any one have pictures of their gray/black interiors? You will probably disagree, but I will throw in my .02 for what its worth. IMHO Grey and Black interiors in the Mustangs have been done to death. Yes, the can look good and yes they are still popular, but . . . it's nice to see some other interior colors too. I would recommend staying with the OEM blue interior, but with your desired exterior color change that would not look very good. With that said, I would recommend considering a beige/tan color combo that compliments the Competition Orange. You could even do a Beige/Tan with Black combo if needed similar to some of the late model Fords. I am not wild about it, but it doesn't look bad. My wife's 2015 Edge is Ruby Red Metallic with a Dune and Black Interior. Hard to describe, but I am sure you can Google more images and get the idea or just visit some car lots to see them in person. Here is one picture, but honestly it looks better in person. Obviously you could use a darker beige/tan and it would probably work better but that gives you some ideas. I am in same situation. I have the great complete red interior in my 82 and am looking for ideas. Been thinking of leaving dash, center console, and seats red and doing rest in black. I really like the black and tan look. Just not sure if tan a pillars with black rear 1/4 trim would look good. Unless you found a way to half and half rear 1/4. I also have a 82 Capri RS, black with red interior. thought of repaint to orange and keep the red interior. My daughter said to add flames to pull the red out! This might make things more complicated, but you could considering doing something similar to the Aero cars. The Aero quarter panels have an indention around the quarter glass area to make the separation of color easier, but the same or similar could be done with the Fox quarters too. Same for the door panels. Just have to think outside the box a bit and you can make it work. Not sure how the red and the orange go together. I personally can't visualize it myself, but maybe you could make it work. Good Luck! Yeah I dont know. Right know I looking for some good rear 1/4 plastics for my 82. Might look into making the later fox panels work cause I like the idea if getting speaker out of trunk and more in cabin for better sound. I waiting to get car back from getting new roof skin and then I gonna play around with the old bad panel I have and some fiberglass and see what I can work up. Here's a grey with black combo I had many moons ago. I agree with what some others have said though that grey is way too common and boring. Every time I see an '85-86 that DOESN'T have a grey interior it's a nice surprise. I like sand beige MUCH better. 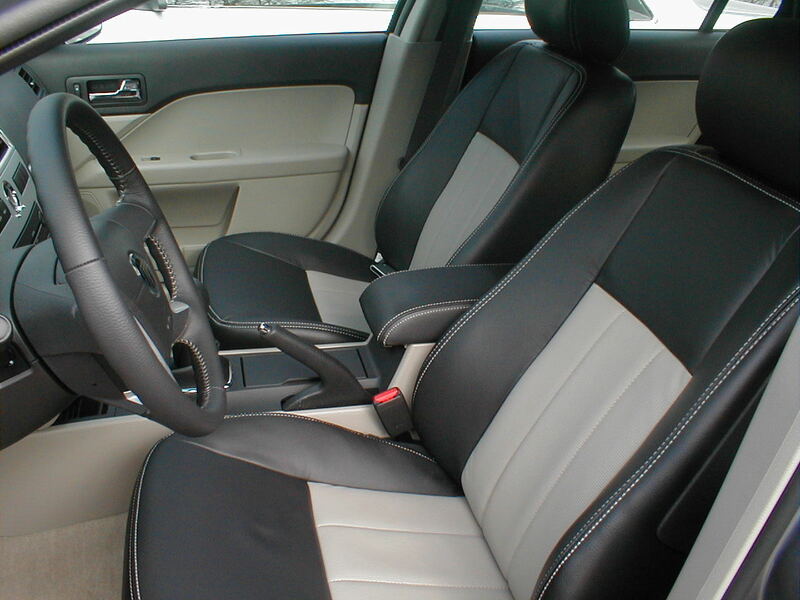 For another thought, you could do custom upholstery with the two tone incorporated on the seats too like my Milan had. I went all black and dipped the dash trim in carbon. That looks awesome! Where did you get that shifter and bezel assembly? I got it from one of the guys on here. I think Hurst still makes the kit that includes the shifter and bezel for the 79-86.
eBay on the hurst bezel. Trim shifter bolts and grind edges smooth or it will cut the rubber boot it uses. Trust me, I have experience! and yes yes that is a GT500KR in my mirror. Last edited by erratic50; 08-07-2018 at 08:21 PM.